Darren Grech Medical Herbalist has helped treating hundreds of patients with chronic Interstitial Cystitis from all over Australia. However, what is even more important is to eradicate the chronic relapsing nature of this condition. To actually prevent flair ups of interstitial cystitis from happening in the first place. 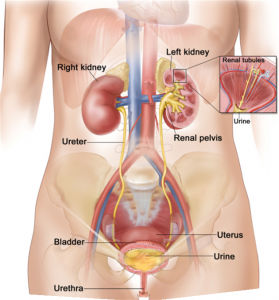 The aim with this treatment is to actually strengthen the urinary system & its immunity. Often many patients have tried many ‘over the counter’ products for interstitial cystitis with only limited success. As a result they wished to end the guess work and seek professional guidance in receiving individualised treatment. You may be surprised to know that Darren Grech rarely needs to alter his patients diet. In Darren Grech’s experience the most important method for success in treating Interstitial Cystitis is to use individualised Herbal medicine & Natural Low Dose Immunotherpay & Isopathy which very closely match the symptoms. If you are very keen to heal Interstitial Cystitis, the next step is to contact this clinic, make an appointment so you can get started. PATIENTS CAN ALSO ARRANGE TREATMENT OVER THE PHONE. MEDICINE IS THEN SENT BY POST. After an accurate assessment Darren Grech will prescribe you natural medicine which is matched to your type of Interstitial Cystitis. Darren Grech likes to reassess his patients on a monthly basis until they are completely satisfied that their condition is improving. Interstitial Cystitis is often not treated very well using Anti-biotics. In fact they often only make the problem worse and create an even more serious chronic problem. Patient’s who have suffered for years with Interstitial Cystitis are told that they will ‘have to live with it’. Often the long term Antibiotic treatment creates a complex disease syndrome including thrush in combination with the Interstitial Cystitis. It can also cause an eventual digestive system problem like bloating, constipation and/ or diarrhoea. Most patients who come for treatment with Interstitial Cystitis have tried many other treatments, conventional and alternative without any real long lasting results. For eg. before they come, they often have tried Probiotics, Vitamin/Mineral supplements, Anti-fungal Herbals, Craneberry and sometimes have followed a very strict diet, & unfortunately still get problems associated with Interstitial Cystitis. Some patients have even been on constant Anti-biotics every day for years. This is a problem waiting to happen & definitely needs this treatment! This specific Natural Medicinal approach helps strengthen the urinary system’s immunity, kidney function, hormonal dynamics & strengthens the general immunity to specific viral, bacterial & mycoplasma infection. It is truly a very rewarding process being able to treat so many patients with this most annoying and debilitating condition. 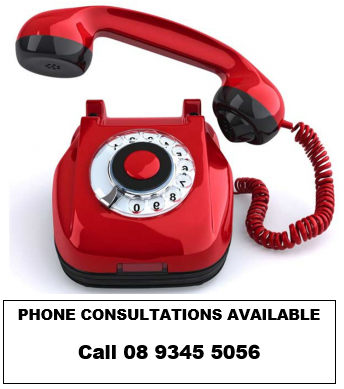 TELEPHONE CONSULTATIONS ARE ALSO AVAILABLE FOR INTERSTATE AND LONG DISTANCE PATIENTS. As a Registered Nurse, and with my father a General Practitioner, my mother also a Registered Nurse, I had thought science and conventional medicine was the only rational way to treat illnesses. That was until my husband got glandular fever that progressed into Chronic Fatigue Syndrome. I also had signs of early menopause and chronically suffered flu’s with almost every period I had. Our two children had typical infections that just kept recurring. I was recommended to Darren by a very reputable chiropractor and have not looked back since. My husband was made well enough to return to work, my menopause was reversed and in time I fell pregnant with beautiful twin boys. I have not thankfully had a bout of flu in a few years now. We do not need to use antibiotics. My children and I enjoy good health. I believe the best advice I could give to anyone trying homeopathy is to really, really know symptoms, in detail, know your body and any changes so the best remedy can be given. I also find it hard to understand why people give up using it if it doesn’t cure it immediately, but are happy to go the doctor 2, 3 or even 4 times to try a different antibiotic or blood pressure tablet! We found homeopathy so helpful we recommended to our friends and family. We much prefer using natural medicine that allow the body to self – heal with no side-effects, than synthetic medicines that suppress and weaken our body’s immune system, often causing very unpleasant side effects. We also feel comfortable using homeopathy, the only alternative therapy recognised by The World Health Organisation as valid. The British Royal Family and David Beckham also use homeopathy. Also, compared with other natural therapies, homeopathy is very affordable. I have suffered chronic arthritis in my fingers and hands for around 5 years, and in my knee and elbow more recently over the last 3 years. Today I am typing this article & am sincerely happy with the progress I’ve made on Darren Grech’s treatment. After trying doctors and a few naturopath’s, I have finally found someone to help me! I have been suffering for many years with IBS/digestive problems and urinary tract infections. I was getting desperate and thought I would do some googling. I found Darren’s site and decided to make an appointment. Thank goodness I did as I can’t believe that i started to have results soon after commencing treatment. For more than 8 years, my condition was terrible… bloating, painful cramps, having to go sometimes 15 times in one day.I originally tried so many products with only a little relief so I decided to see somebody who was recommended. My first consultation with Darren was about 8 years ago. I had suffered from lower back pain for several years causing many sleepless nights. I had just about every scan done and multiple massage sessions to try and alleviate the pain but to no avail. As a last resort, I decided to try Darren Grech’s natural medicine treatment. The first time I saw Darren Grech was the time I still needed a walking frame. I remember how hard it was carrying all my MRI scans with the walking frame. My sciatica pain was so bad that I could hardly ever sit down & I had to stand for the entire visit. In late 2008, after eating or drinking almost anything, I began having dreadful sinus attacks accompanied by extremely itchy eyes and headaches. I battled with severe thrush for the last 10 years. I tried literally every conventional treatment & product on the market and they only helped a fraction. I saw my natural medicine practitioner, Darren Grech, and he has really helped this chronic problem which was truly depressing. Having survived a life-threatening virus I wasn’t feeling ‘right’ – no energy, was experiencing monthly migraines, couldn’t concentrate, felt very disconnected from the real world – despite the fact that GPs and specialists told me there was no more they could do for me; that was when I went looking for an alternative option. I definitely recommend his treatment. After having recurring severe genital warts for the last 6 years after countless creams & repeated cryosurgical removal I was fed up. My doctor said regrowth was very common and that I would have to keep getting them removed ‘as there is no cure’. I then consulted with Darren. He was able to prescribe an internal natural medicine which he explained would help my immune system for this condition which has been very successful. I have found my overall health has improved, including my Irritable Bowel Syndrome. I am a keen cyclist and severely strained my anterior deltoids over 3 years ago. The pain was constant and made sleeping very difficult as I could not find any position which was pain free. 3 months of the most advanced Physiotherapy did not help. I would like to recommend Darren to anyone who suffers from IBS. I had battled with IBS for many years and been told by doctors that I would just have to live with it. After being on a holiday and having my stomach continually acting up I decided I did not want to live with it any more and decided to look for an alternative treatment. Lucky for me I came across Darren Grech. It is wonderful to no longer have to worry where the nearest toilet is every time I go out. The treatment has helped me in many ways. After taking medication, an appetite suppressant prescribed by my GP, I began to experience severe & frequent panic attacks literally after the first dose. This was a side effect from the medicine I was told by my GP and he said I must stop it at once. I did stop it, however, my panic attacks did not stop, they continued for 6 months. This was when I decided to see Darren. He prescribed me natural medicine, which helped me very much. Change of life, Depression, Anxiety and Panic attacks, Vomiting, Flushes, gall bladder problems, intestinal problems, sleeplessness and severe migraines. It is approximately 16 months since 1st finding my natural medicine practitioner, Darren Grech. Firstly we addressed the depression and Migraines which we have had a very good response with and I continue on this path when there may be the now occasional threat.. So I have gone from a person who had migraines almost every day and vomiting, depression, Hot flushes anxiety to a fully functional person. In all fields of trade and profession there really are the enlightened and unenlightened, personally I can only say follow the successes. I truly thank the heavens for guiding me safely into the knowledgeable hands of a wonderful practitioner, Darren. – Mrs LK, Perth W.A. I went through 8 tubes of prescription cream, to no avail. I dreaded going to the toilet and decided to look elsewhere for help. I was referred to consult with Darren Grech. Now I know what I’ll be using if they come back with future pregnancies. Darren Grech is experienced in treating many conditions using a variety of Natural Medicines, Naturopathic and Homœopathic. Over the past 18 years he has conducted over 35,000 consultations covering many medical conditions from patients all over Australia and overseas.